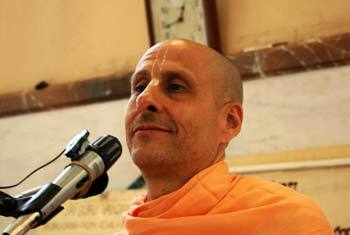 Question to Radhanath Swami: How to control and purify our senses? Answer: That is a very important question. It’s the essence of life. That question and its answer is the path of perfection. Krishna tells in the Bhagavad Gita that by engaging our senses and our mind, which is our sixth sense, in the service of the Lord, we become purified of all illusory designations. Elsewhere in the Vedas it is said that weather purified or unpurified, one who remembers the beautiful lotus-eyed Supreme Personality of Godhead, becomes purified from both within and without. We become what we associate with. If we associate with impure people, impure activities, impure thoughts, we become polluted. If we associate with people who are pure, activities that are pure, and thoughts that are pure, we become purified. Srila Prabhupada, our guru, gave the example of an iron rod. If we put it in fire, it becomes red and hot like fire; and if you touch it, you’ll be burnt the same way as when you touch fire directly. That is the power of association. But if we put that same iron rod in ice, it will become as cold as ice. 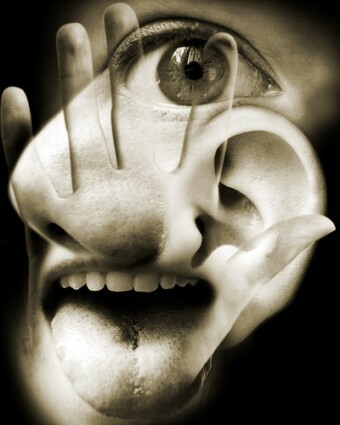 So, our purification or our degradation is based on what our mind and senses associate with. Krishna is pavitra, supremely pure. Therefore, by remembering Krishna we become purified, and by serving Krishna with our senses, our senses become purified. And what is the easiest way to remember Krishna? Simply by our tongue we can invoke the presence of Krishna by chanting his name and discussing his glories. This Harinaam Sankirtan, Kirtan of the holy names, is the most recommended process in this day and age, called Kali Yuga in the Vedas. harer nama harer nama hare namaiva kevalam, kalau nasteva nasteva nasteva gatir anyatha: “In this age of kali the chanting of the holy names is the only practical means for the common people to attain the supreme perfection of a pure heart.” namnaam akaari bahuda nija sarva shaktis: “All the potencies and opulence of the Lord is present in the holy name. There are no hard and fast rules for chanting; you can chant anywhere, absorb your mind in Krishna and become purified. What a benediction! 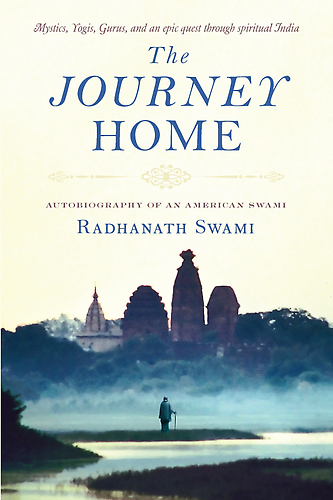 We often tell the story of a man in Jagannath Puri, India. He would constantly chant the holy names, and one day he was going to the bathroom. He had a lota (a vessel that holds water used for cleaning oneself after passing stool) in one hand, and with his other hand he was trying to somehow hold his tongue, to stop it from chanting the holy names. And that really looked strange. 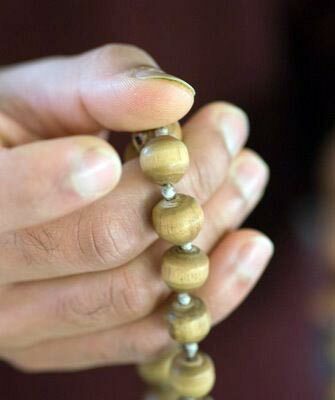 So one little five year old boy approached him saying, “What are you doing?” The man said, “I have such a taste for chanting Krishna’s name, I can’t stop chanting. But at the same time I am going to respond to nature’s calls, and I shouldn’t chant Krishna’s name when I am doing an activity like that. So I am trying to control it, but I can’t. And the little boy said, “There are no hard and fast rules for chanting.” You can’t worship your deity when you are passing stool. You are not supposed to bring all the holy scriptures into your bathroom either. But the chanting of the holy names, you can do it anywhere and everywhere, and become purified. That is the power of the name and the name is non different from Krishna. So this is the simple mercy of the Lord in this age of Kali. By serving Krishna, by seeing the deity of Krishna, by tasting the food offered to Krishna, by bowing down to Krishna, by associating with the devotees of Krishna, by hearing the kirtan of Krishna, and by smelling the incense and flowers offered to Krishna, we become purified. But of all things, at any time, in any situation, we can be purified by the presence of the Lord by taking shelter of his holy names: Hare Krishna Hare Krishna Krishna Krishna Hare Hare, Hare Rama Hare Rama Rama Rama Hare Hare. And if you are a student, while studying Biological Engineering or Chemical Engineering or Architectural Engineering or Electrical Engineering or Medicine, how are you going to get purified thinking about all those things? If our intent is to offer our service as students for the pleasure of the Lord, if we live in harmony with the will of Lord, and if we have a nice spiritual foundation to our life, we will be purified even in our studies because we are doing it for Krishna, in consciousness of him.